Hanoi (VNA) – Fruit and vegetable export turnover experienced a year on year fall of 9.3 percent to 879 million USD in the first quarter of the year, according to the Ministry of Agriculture and Rural Development’s Agro Processing and Market Development Authority. The decline was largely attributed to the drop of 14.7 percent in export of the products to China, a market which accounts for 74 percent of Vietnamese fruit and vegetable shipments. Demand in the country slid during January-February as several types of fruit are harvested at the same time in both countries. Apart from China, shipments to Southeast Asian countries fell 24.7 percent year on year to 21.21 million USD in the first three months of the year. In contrast, strong export growth was seen in Italy (up 389 percent to 2.44 million USD), Indonesia (up 89.4 percent to 0.16 million USD), Kuwait (up 87.3 percent to 0.83 million USD), Australia (up 51.6 percent to 6.41 million USD), the EU (up 44.21 percent to 21.46 million USD), and the Republic of Korea (up 41.7 percent to 18.66 million USD). Although China is the largest importer of Vietnamese fruits and vegetables, exports to the country have entailed great risks because most of the goods are exported via unofficial channels with unstable consumption markets. Experts said Chinese consumers no longer prioritise good prices, but set high requirements for food quality and origin. Therefore, Vietnamese businesses should invest heavily in production techniques and advanced technologies for processing and preservation to improve product quality. Besides, export items must have quarantine certification and traceable origins while their packages need Chinese language and quality standards on the labels. 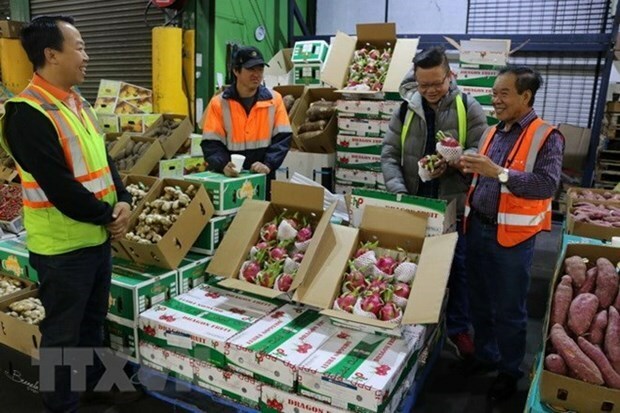 According to Shi Xinbiao, Director of Liaocheng Xinghao IM & Export Co.,Ltd, China’s demands for fruit and vegetable imports will slow in the next 10 years; however, the market will have stricter food safety requirements. All Vietnamese farm produce shipped to the country must show sufficient quarantine certification and information related to products’ origin and safety.